The Kawasaki Ninja H2R is the world’s most powerful production motorcycle with over 300 bhp on offer and has a top speed in excess of 400 kmph. The bike is not street-legal. India Kawasaki Motor is all set to deliver the absolute bonkers Ninja H2R to a a customer in the country today. The 2019 Kawasaki Ninja H2R is the most powerful production bike on sale at present and churns out in excess of 300 bhp. The bike, which is not street-legal, is priced at ₹ 72 lakh (ex-showroom) and is the only of its kind coming to India. It’s not clear who the lucky owner is, as the customer wants to keep his identity under wraps. 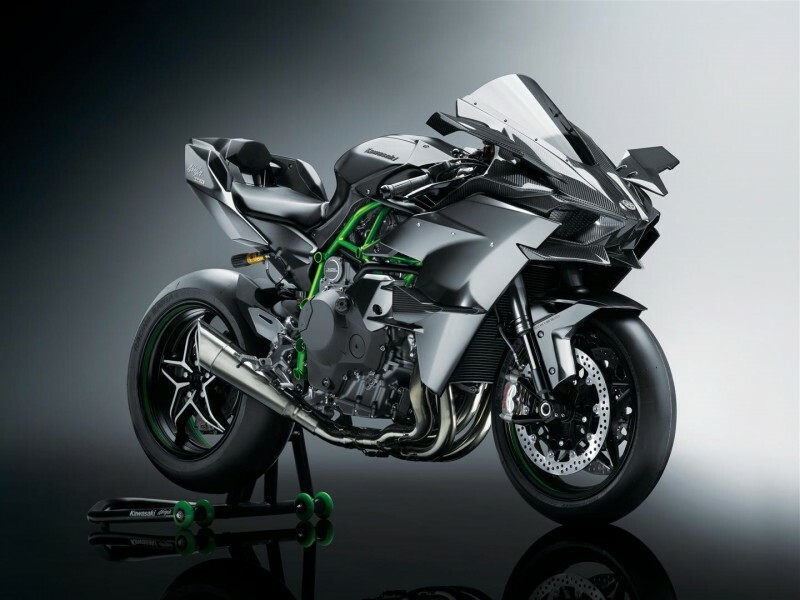 The Kawasaki Ninja H2R joins its tamer versions the Ninja H2 and the Ninja H2 SX, with a number of units of both motorcycles already sold in the country. The H2R is almost twice the price in comparison and boasts of incredible acceleration prowess as well. Powered by a 998 cc in-line four-cylinder engine, the motor comes with a supercharger that helps produce more power at low revs while maintaining higher efficiency and minimal heat gain. The motor manages to belt out 308 bhp in stock form, which can be further increased to 321 bhp at 14,000 rpm with the Ram Air intake. Peak torque output stands at 165 Nm available at 12,500 rpm. The engine is paired with a 6-speed gearbox and gets the Kawasaki Quick Shifter, hydraulic clutch and back torque limiter. The bike has managed to clock a top speed of over 400 kmph. The Kawasaki Ninja H2R is aided by a host of electronics including the launch control mode, cornering management system, engine brake control, traction control. A Bosch IMU controls all the electronic aids on the motorcycle. The Ninja H2R also comes with a Ohlins electronic steering damper with 43 mm USD forks up front and a new Uni-Trak, Öhlins TTX36 gas-charged monoshock unit at the rear. The bike gets Brembo sourced disc brakes at the front and rear. The track-only Ninja H2R also gets the river mark logo from the manufacturer that is only reserved for models with historical significance, while the big highlight is the self-healing silver-mirror paint scheme on the bike. The special coat over the paint allows smaller scratches to repair themselves and recovers on its own in about week. That said, the paint is prone to damage from scratches caused by coins or zip fasteners.